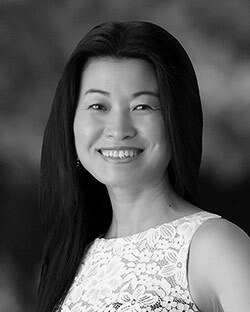 Sophie Xu brings to her clients at Urban Real Estate a long-time passion for investment real estate and negotiation strategies. Strong, steadfast, and seasoned in the buying process as both a broker and a personal investor, Sophie’s keen eye for potential has become one of her greatest assets to her clients. Entering the real estate business in 2012 with her own desire to buy and “flip” properties, Sophie learned from the ground up every facet of the rehab business. From construction to interior design, Sophie made it her top priority to grasp everything she could about buying and selling right. This curiosity and desire to do more led her to want to help others do the same. In 2017, she became a real estate broker, and continued to hone her skills but also obtain her Income Property Analysis certificate, helping better practice her skills and guidance for other potential investors she would soon represent. Prior to real estate, Sophie was a global purchasing manager for a Forbes top 500-rated company. She received continuous world-class trainings on negotiation, and was recognized for being one of the best negotiators in the company. A long-time downtown Chicago resident, Sophie works with clients throughout Chicago’s 77 neighborhoods on their home and investment purchases, as well as leasing needs. The China native earned her Bachelor of Arts from the Dalian University of Foreign Languages. In addition to English, she is fluent in Mandarin. When she isn’t busy working with clients or assessing properties for her own acquisition, Sophie can be best found traveling and looking for what ideas abroad she can bring back to her clients at home.